Want to slow down your drill press? 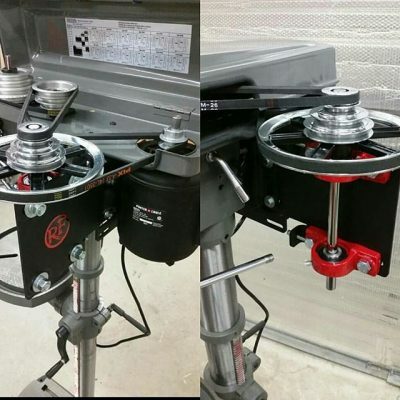 This bolt on kit will quadruple the torque of your drill press at the spindle and cut the RPM by 75%! Kit bolts on in about 25 minutes with hand tools. Requires trimming of your belt guard if equipped. You may have to purchase a separate belt if the one we provide does not fit. 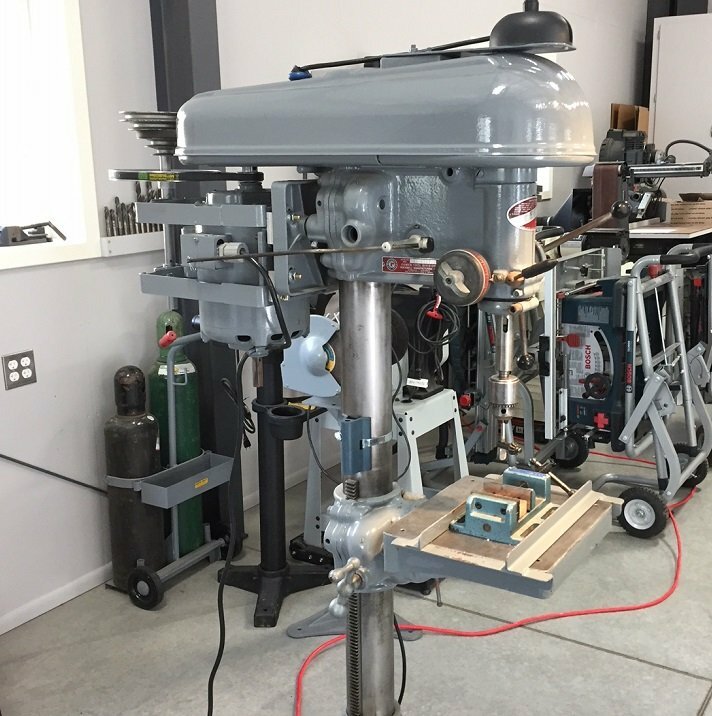 This kit works with the continuously variable speed drill presses, like Powermatic, Wilton, K&T, and Walker Turner. These drill presses have pairs of pulleys that adjust with a crank and spring (much like a snowmobile transmission). 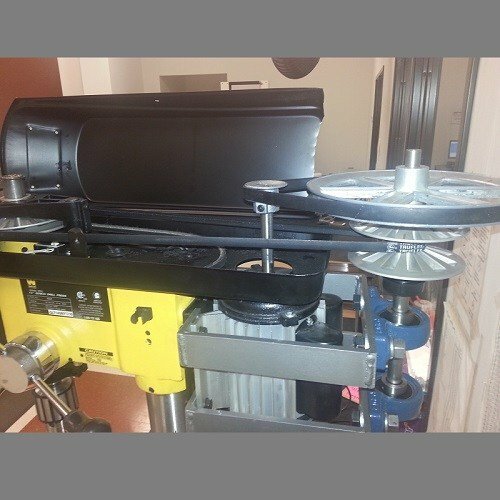 The other reason to use this kit is on machines with upper pulley bearing supports or tall cast belt guards that prevent the belt routing shown in our other kits. The perfectly in-line layout of this kit works very well for those machines. 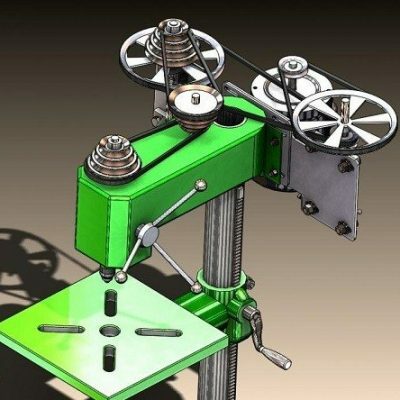 We will need measurements to potentially machine custom shafts, spacers, motor mounts, and other components for your kit. This custom machining (if required) is included in the price. If it is not possible within this kit’s budget, we will let you know and refund your order (this hasn’t happened yet). We will contact you after checkout for the measurements.